To promote tourism in the State of Nagaland through the sport of fresh water angling events in rivers, lakes and ponds. To create public awareness on conservation of indigenous fish population in Nagaland. To educate and promote sport of angling as a recreational in Nagaland. To adapt, uphold and implement the Nagaland Fisheries Act, 1980. To arbitrate and oppose the use of chemicals, electricity and explosive for fishing in the rivers, lakes and ponds in Nagaland. To oppose and protect the river systems in Nagaland from any form of pollution that damages the aquatic life and indigenous wild fish population. To render our voluntary services to the State Government, NGOs and any private party who are in the pursuit of conservation and breeding of indigenous fish species population in Nagaland. To strive of selfless service without any profit motive and to be non-profit organization. AAN is Govt. registered Association under Regd. No. 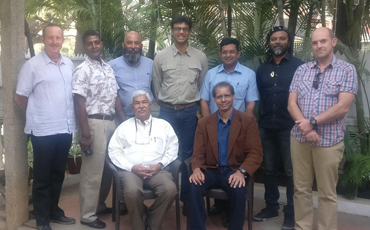 Home/SRC/6949 and today AAN have more than 500 members AAN is also affiliated to AIGFA (All India Game Fishing Association) after signing MOU with AIFA on 2nd May 2016. Under AAN there are three affiliated association from three different Districts with 400 plus members. Below are the affiliated associations. Shri. Shetoyi Sumi, Parliamentary Secretary for Fisheries, Printing & Stationery, Govt. of Nagaland is the present Chairman of AAN. Governor of Nagaland is our Chief Patron and presently have 3 patrons – (1) Wati Jamir, (2) Kito Zhimomi and (3) Angam Shaiza. Competitions: AAN has organized and promoted different Angling competitions all over Nagaland. Below are the few events. Eco Lake Angling Zone, Kiyeto Village. Vanhope Resort, Longjung, Wokha District. Unika Angling Club, Hoito Village. BoboNyst Angling Zone, Suhoi Village. Carp & Carp Angling Zani. Doyang River (Tzuzha Festival) Wokha. On 12th July 2015, 48 AAN members participated in 5th NE Angling Competition at Nagaon. 4 prizes out of 5 were won by AAN Members. 120 Anglers from Bangalore, Mysore, Kolkata, Arunachal Pradesh, Assam and Nagaland participated in 2 days event and 600 plus visitors were registered during the 2 days Angling Festival at Doyang River, Wokha. Shri. 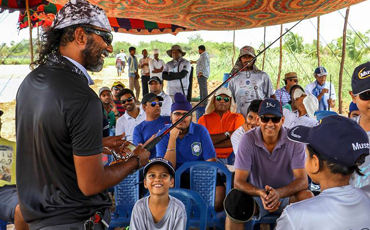 Derek D. Souza, an internationally acclaimed angler was Resource Person during the festival workshop on conservation and catch and release. 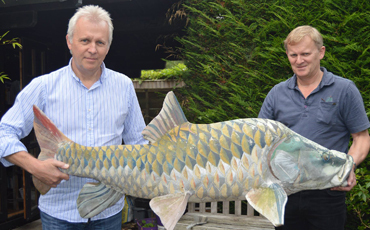 Angling for conservation and sustainability. 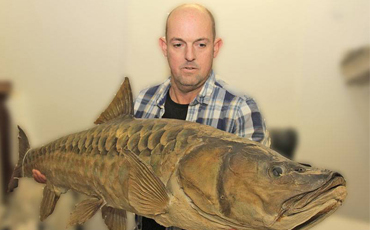 Angling as a recreational sport to promote conservation and eco-tourism. Awareness on effects of Dynamites & Chemicals to fishes and eco-system. To promote systematic and sustainable way of fishing. Anglers Association Nagaland (ANN) celebrated the World Fish Migration Day (WFMD) on the 18th June 2016 at Noune Resort in association with Mahseer Trust along with All India Game Fishing Association, along with Pelagic Tribe, Mustad, Surecatch, Agwetor, and Zerek. 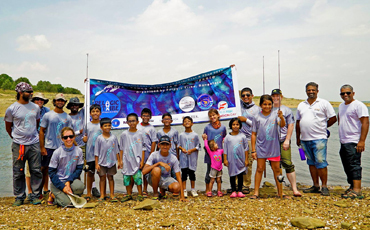 The objective of this event is to educate the younger generations about the Fish, Rivers and Conservation. 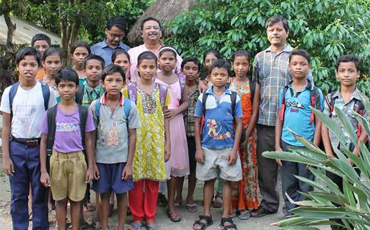 Altogether 61 school children between the age group of 10-15 years participated with their parents. The program was from 9am -5pm. 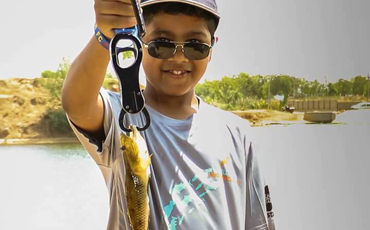 It included talk about India and its Migratory Fish, activities like Angling for Conservation, Catching& Releasing a Fish, Handling a Fish, Fish Anatomy, Drawing and Painting and Birding. 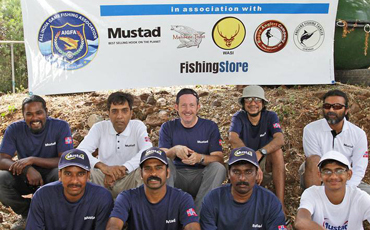 Resource person for the event is Mr. Derek Dsouza, a work renowned angler from Bangalore.